Item # 316243 Stash Points: 1,999 (?) This is the number of points you get in The Zumiez Stash for purchasing this item. Stash points are redeemable for exclusive rewards only available to Zumiez Stash members. To redeem your points check out the rewards catalog on thestash.zumiez.com. 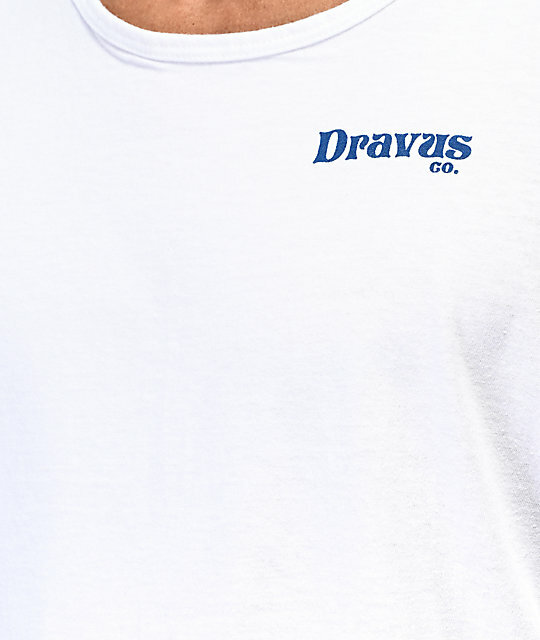 Whether you are on vacation, or a stay-cation, the Worcation White Tank Top from Dravus has you covered. 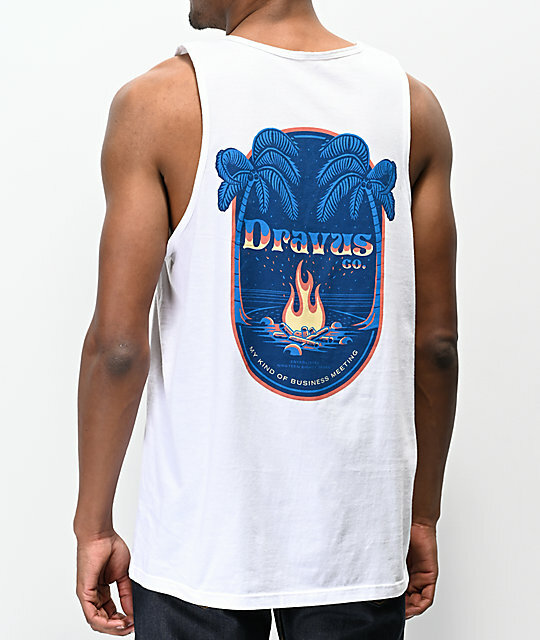 This white, cotton tank top features screen-printed logo graphics at the left chest in blue, while the back displays a large image of a campfire on the beach, accompanied by text that reads "My kind of business meeting." 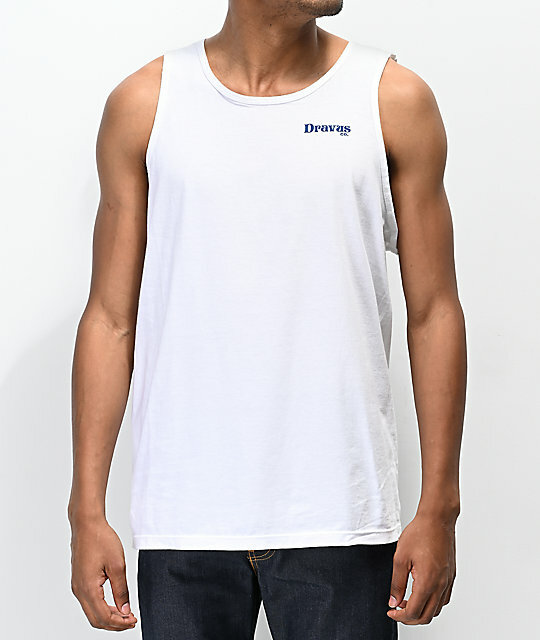 Worcation White Tank Top from Dravus.